Your business faces a myriad of complex accounting issues – related to acquisitions, consolidations, bankruptcy, restatements, debt/equity offerings, changes to accounting methods, stock compensation, and more. These are major challenges and in any one of these circumstances, many events unfold at once, disrupting your day-to-day operations. I help companies maximize value during these moments of exceptional change. I will tailor solutions to your needs, allowing for a thorough approach in anticipation of the requirements of auditors, investors, and regulators. Income tax accounting continues to be on lists that no one wants to lead. The topic continues to be a troublesome area for companies both large and small. Why the issues in this area? The reasons are numerous. The rules that must be followed come from multiple sources. A thorough understanding of the financial accounting rules can only go so far; to ensure you “get it right” in this area, the appropriate understanding of tax technical rules must also be obtained. Generally speaking, the expertise in these two areas may not always reside in the same professionals, so the income tax accounting arena also necessitates strong communication amongst multiple professionals due to the sheer complexity of the issues at hand. Income tax accounting incorporates highly judgmental areas, such as valuation allowance assessments, as well as certain areas which have very prescriptive rules (e.g., intraperiod allocation, valuation allowance balance sheet classification). It requires the use of estimates and assumptions, which can be challenging for professionals to determine, and can result in the need for difficult judgments to be made at various points in time. In addition, there is generally a “timing difference” in terms of when professionals focus on certain aspects of income tax accounting. For example, although the year-end financial reporting function is a critical aspect in the year-end reporting timeframe, the income tax return for that same year is not generally a priority until several months after year-end. In addition to the “everyday” complexities of income tax accounting, when acquisitions or divestitures occur, additional complexities often materialize in the areas of intraperiod allocation, permanent reinvestment assertions, and valuation allowance assessments. Simply put, no transaction is “complete” without a comprehensive assessment of the income tax accounting guidance. Leasing is a common, convenient and flexible source of financing used by virtually all companies to secure the use of assets, including real estate, machinery and office equipment. Lease transactions involve all types of assets and, in addition to representing an important source of financing for businesses, they often allow a lessee to acquire the use of desirable assets unavailable for purchase (e.g., retail locations or commercial office space). Leases also allow a lessee to avoid residual value and obsolescence risk borne by the owner. In short, lessee motivations are as varied as the applicable accounting. The practical application of the sometimes form-driven and often complex accounting literature continues to be an area of difficulty for many companies. Leases, particularly those governing real estate, often have a material impact on the financial statements. Highly tailored arrangements such as leases of assets to be constructed or significantly improved (e.g., build-to-suit leases), real estate sale-leasebacks, synthetic leases, master lease arrangements, and vendor financing arrangements present additional challenges. As a result, many companies seek to involve experts early in the process to help them understand the applicable guidance and avoid the common pitfalls that can result in undesirable accounting and financial reporting outcomes. With significant potential change on the horizon as well, in light of the joint FASB and IASB leasing project, managing the impact of current and future GAAP is likely to stoke demand for assistance further still. Rahim Gillani, CPA, graduated with a BA in accounting from UNM and has 15 years’ experience in public and private accounting. He worked with Atkinson and Company in the audit and tax departments, preparing both individual and corporate income tax returns, and then transferred to Chavarria, Dunne, and Lamey, CPAs, working in audit and governmental accounting. 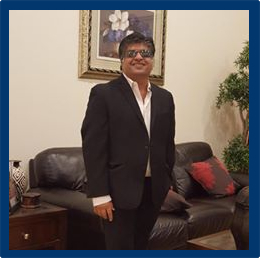 Recently Mr. Gillani worked as a controller in private accounting, responsible for financial statement preparation, tax filings, and property management oversight. My Sustainable Business Solutions practice can help your business increase sustainability value creation. I handle state and federal income tax matters for individuals, couples, families and small business owners or professionals. If you want your business or personal taxes taken care of by true professional come here.i believe Rahim and crew truly care in providing the best service at the best price. Numerous times he would meet me during non business hours to accommodate my hectic schedule. Very appreciative for all you do. Thanks! Rahim is a great CPA, very knowledgeable, hard working and committed to his clients. I am fortunate to have been referred to him and would recommend him. Rahim is very knowledgeable and very commited to his clients. He will always go the extra mile and his staff are helpful and friendly also. Definitely reccomend his services .